13 Comments to "Come on guys, no cheating!" 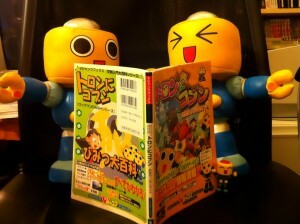 However, I do have a question about the book they are clutching in their tiny robotic hands. Quality character art from this game is hard to come by. I myself have very little. What have we got here within the pages of this particular book, eh? Sorry to bug you, but you’ve been such a big help in the past! ahhh I want those servbots, so cute!!! BTW Could you make an entry about chest, plum and ripot? those minor characters from B&C, we almost don’t know anything about them. Is Plum human or robot? @Bamasama: Like Roll, Plum is a human-like robot. I’d like to see more info from the Zero and ZX series. Vent and Aile are supposed to be the same person or they exist in the same timeline? Is this site dead again? Well, this month has gone nothing like I planned! Thanks, guys, for all your comments! I’ll try to answer everyone’s questions in a little bit. I just need to get something up first. It has been way too long! Icy: There is a lot of art in that book for characters, vehicles, various facial expressions, and concept drawings. However, very little of it is clean (and by clean I mean not cropped or distorted or written over). Message me over at the Capcom Wiki about what character art you’re looking for, and we’ll figure something out. Bamasama: I know it’s not quite what you asked for, but today’s Battle & Chase free pic Friday was for you! About your Plum question, although I am personally quite comfortably sure that she is a robot, I have had little luck in finding a place that actually says so. The Japanese and English game manuals, the guide books I have, all came up short. Even the Mega Man Official Complete Works book just calls her a “girl” (not specifying a “human” or “robot” girl). The only clear mentioning I’ve found so far was on page 155 of the Mega Man Megamix volume 3 manga, where Hitoshi Ariga confirmed that, at least as far as his stories are concerned, she is definitely robot. I will continue to keep my eyes open for a better game-specific description for this deceptively difficult question! 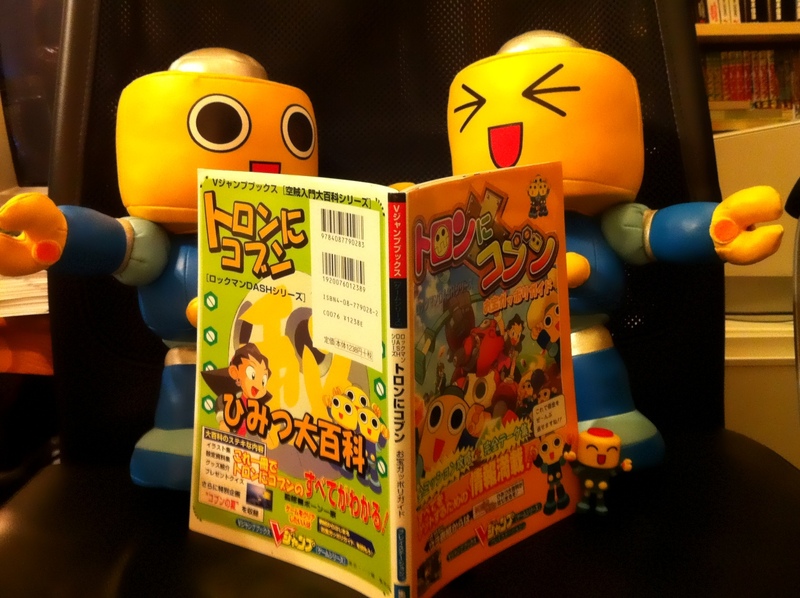 Anon: Much as I would love Tanjou to tackle Rock’n Game Boy, there is still a great wealth of other Rockman manga that needs translated that will probably be attempted first. We shall see! Anonymous: Like Zero, death is only a temporary state around here! Although there isn’t any source about Plum being either human or robot besides the manga, she looks more like a robot, unless she dies her hair pink (Aero) and uses “Jet Skates” (Volnutt). And isn’t she too young to that job? (Neige) Specially when she does dangerous things like interviewing Bass and Wily. But considering the characters I mentioned and what #20 said, now I’m not 100% sure, but I still think she is a robot.